It’s back! London Fashion Week will be rocking the capital with cool and contemporary catwalk creations from 15 to 19 February 2019. The invitations to the world’s fashion editors and famous celebrities have been sent. Front row seats have been reserved! And the finishing touches to shows and presentations from designers such as Victoria Beckham, Zandra Rhodes, Alexa Chung, Anya Hindmarch and Jasper Conran are complete! We always get excited for London Fashion Week, and that’s not just because we love to see Anna Wintour and David Beckham sitting on the front row! Or because we love watching the supermodel runway stars strutting their stuff! Nope! 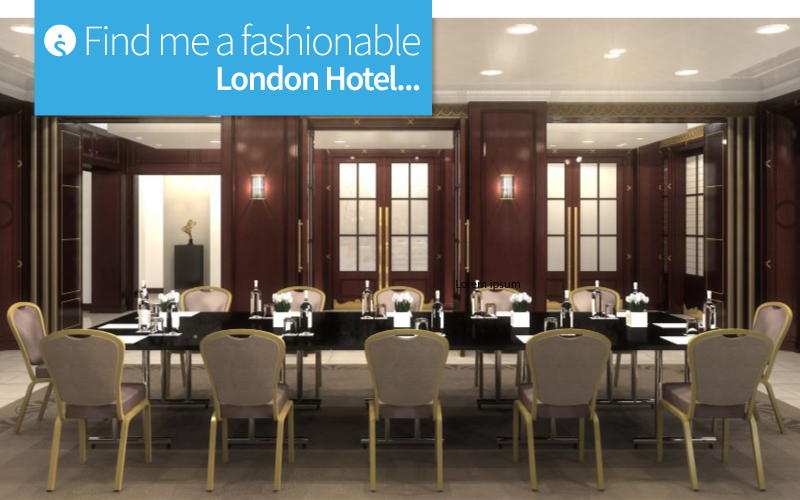 We love London Fashion Week because it always gives us an excuse to create our own catwalk collection of conference venues and hotels in London! It’s our opportunity to swoon over stylish meeting rooms, contemplate sophisticated suites and fall in love with fabulous food, regardless of whether it’s being served at an after party or dished up for our delegates to enjoy! From Covent Garden to Canary Wharf, Kensington to the West End; our four fabulously trendy London hotels really know how to work the London look! First on the conference catwalk is the super stylish Millennium Gloucester Hotel in the fashionable Royal London Borough of Kensington and Chelsea. With a dedicated conference centre and an expert meetings and events team, a event planner can be assured a conference held here is going to be smart, snappy and select! There are 12 different function rooms with WiFi and bang on trend audio visual technology. 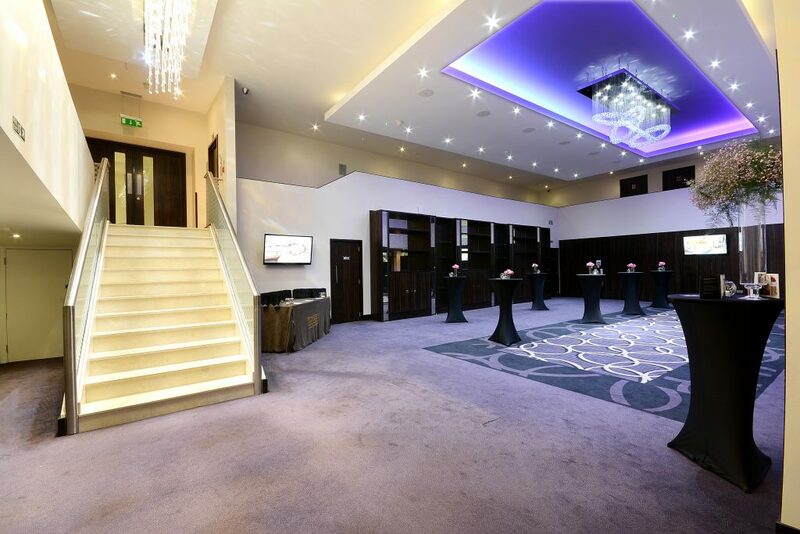 The Orchard Suite is the largest space and it welcomes up to 650 guests to a celebratory champagne reception or 500 delegates attending a theatre-style event. 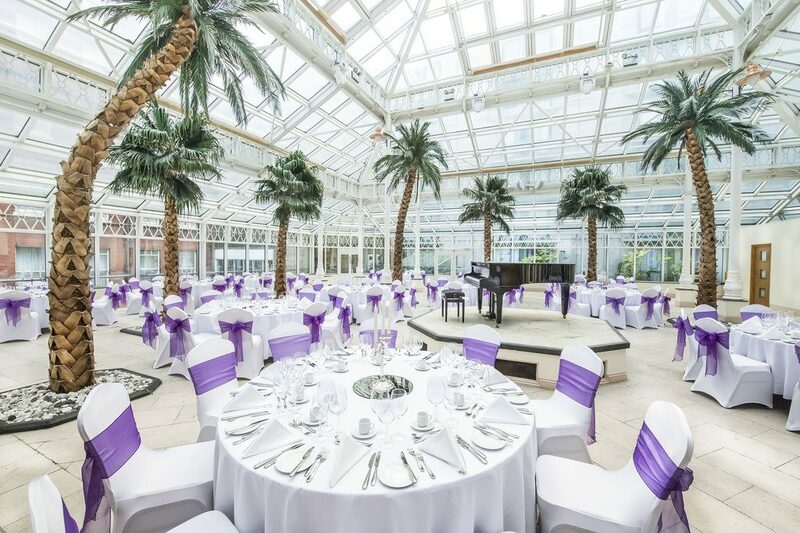 Alternatively, why not consider the light filled conservatory which is equally suitable for large-scale receptions or a sophisticated dinner dance for 150 guests? Trust us when we say The Montcalm is never out of fashion! 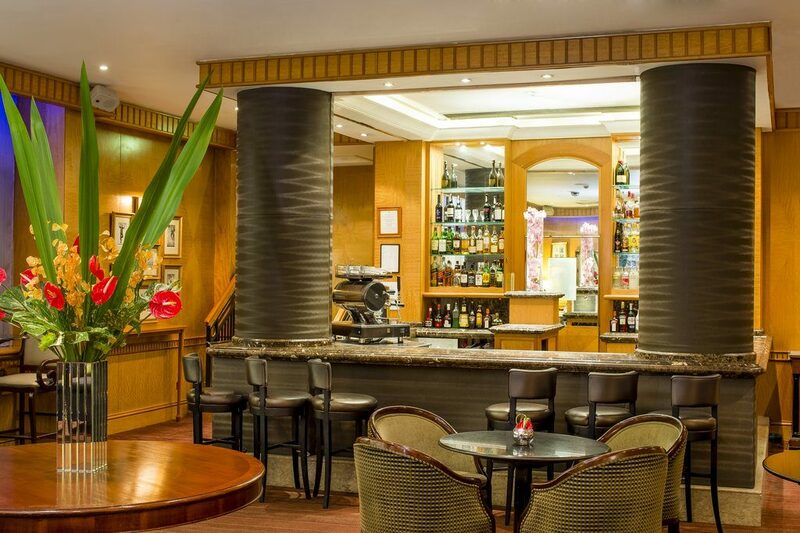 Firstly, the West End hotel is undeniably desirable with its modern day luxury styling. Secondly, it’s in a fantastic location for shopping as it’s at the top of Park Lane, near Marble Arch. This makes it convenient for hotel guests to easily walk or catch a tube to Oxford Circus, buy the latest fashions from Selfridges and take time out in beautiful Hyde Park! 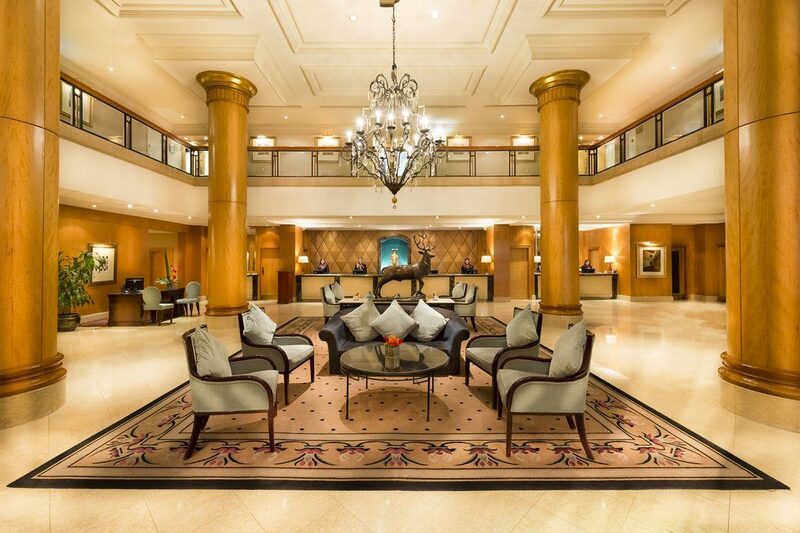 For the event organiser, The Montcalm has prestigious spaces for up to 600 delegates. Hire The Champagne Bar for an exclusive gathering entertaining up to 70 guests. Alternatively, this is a superb space for an early morning networking session. For a large-scale event, the beautiful ballroom strikes an impressive scene with glittering chandeliers and benefits from its own private Park Lane entrance. A grand marble staircase sweeps guests into an opulent foyer for a pre-event gathering which is certain to be the talk of the town. 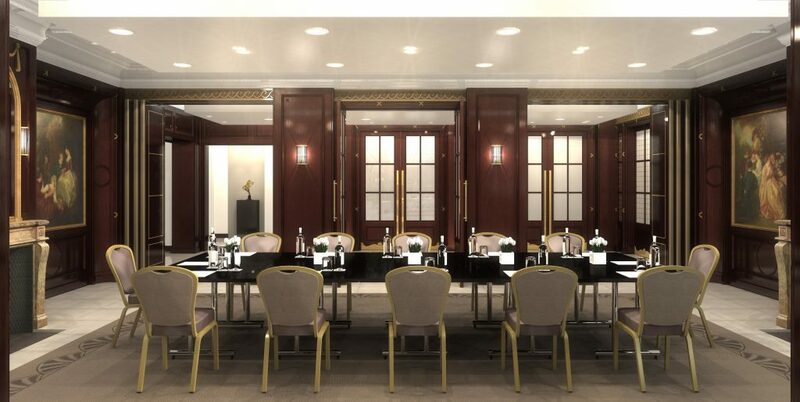 Imagine a former gentleman’s smoking room transformed into what we consider the epitome of a stylish boardroom. This is what meeting bookers can look forward to at the famous Waldorf Hilton in London’s theatreland. Plus there are a further nine suites available, with a maximum capacity for 400 guests attending an event in the stunning Palm Court. 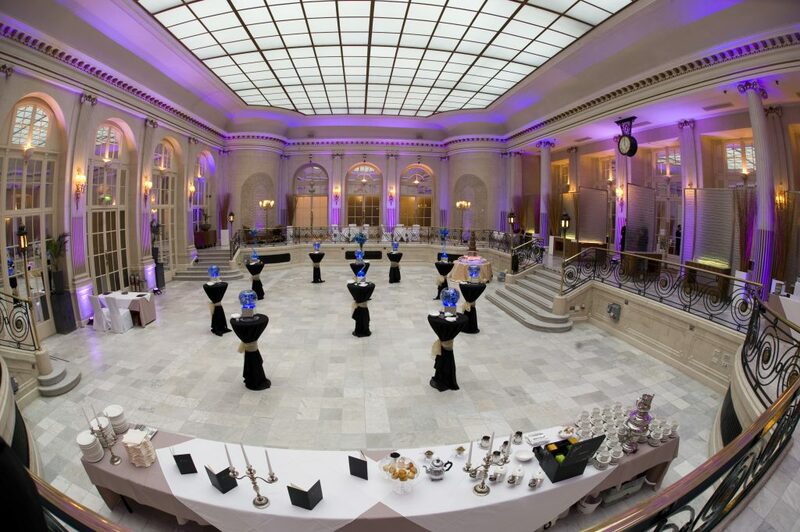 Bursting with Edwardian design, it’s no surprise that the Palm Court has featured in the movie A Night to Remember. 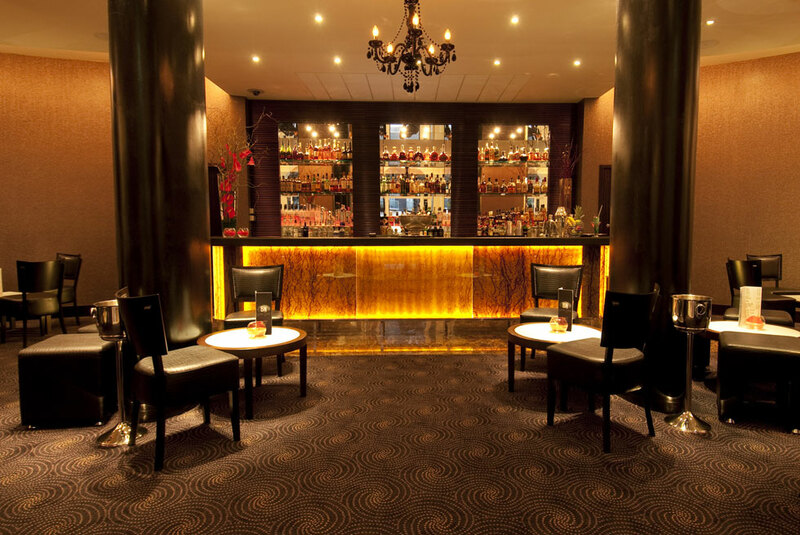 It’s a majestic space perfect for a red carpet event or a fashionable after show party. And it’s a very popular choice with brides and grooms looking for a dream wedding venue. 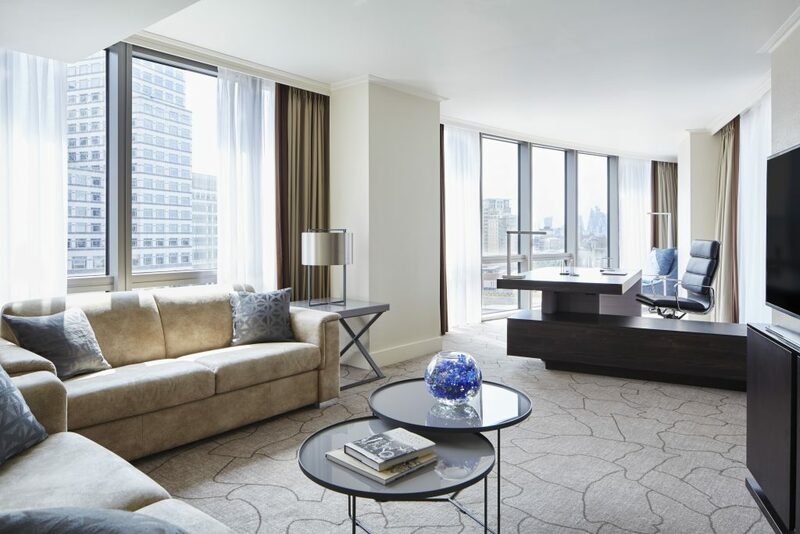 Cutting a fashionable shape in the landscape is the London Marriott Hotel Canary Wharf. 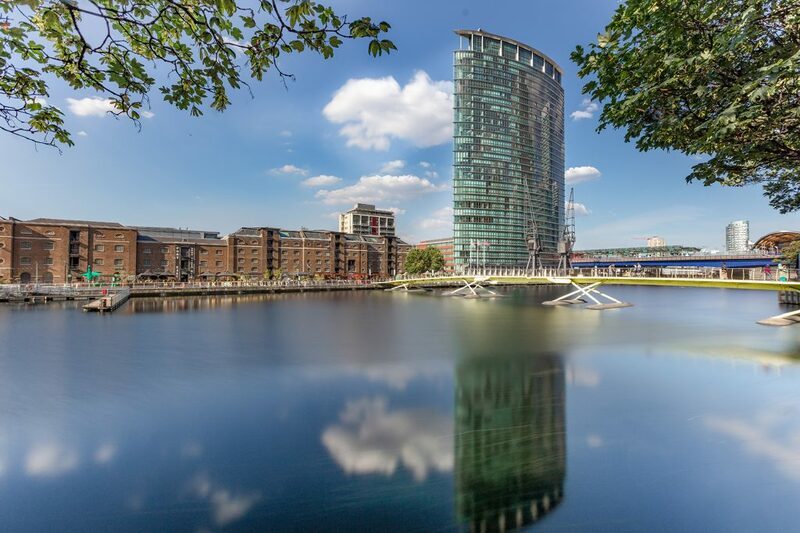 The property has been impeccably designed to resemble a ship’s sail and as you can see in the photograph below, it really does create a striking image on the Canary Wharf waterside. In fact, we would go as far as saying London Marriott Hotel Canary Wharf is a landmark building. The maximum number of delegates attending an event here is 290. There are a total of 19 event spaces which includes ten break-out rooms that can be used for interviews, brainstorming and smaller events. Delegate menus can be personalised to suit the type of event and the budget available, thus giving plenty of scope to an organiser who requires a fashionable finger buffet or bowl food. Also, this hotel has a very good bar and restaurant to relax in. For 24-hour delegates, be sure to overnight in one of the Curve Suites. They offer great views over Canary Wharf. Plus their modern day design is very relaxing. The great thing about our catwalk collection of London hotels for conferences is that they don’t actually ever go out of fashion! With London being one of the most visited cities in the world, hotels are always going to be looking their best to attract international and national tourists and companies. For more ultra modern, on-trend London hotels ready to host a conference, celebration or a catwalk fashion show, visit Findmeaconference to see all our London venues. London Workshop Venues to get excited about!